Now through October 31, 2013, Center for Beauty will donate $50 of any Juverderm procedure or peel procedure performed to the Breast Cancer Research Foundation. 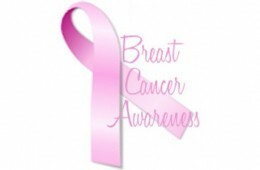 This October, Center for Beauty is proud to participate in National Breast Cancer Awareness Month. About 1 in 8 women born today in the United States will get breast cancer at some point during her life. After skin cancer, breast cancer is the most common kind of cancer in women.The good news is that many women can survive breast cancer if it’s found and treated early. If you are age 35 to 49, talk with your doctor about when to start getting mammograms and how often to get them. Women ages 50 to 74 need mammograms every 2 years. You may choose to start getting mammograms earlier or to get them more often. Talk to a doctor about your risk for breast cancer, especially if a close family member has had breast or ovarian cancer. Your doctor can help you decide when and how often to get mammograms. Ask Dr. Sardo if you have questions about how to perform a self breast examination or other questions about your breast health. For the past twenty years, Komen San Diego has provided tens of thousands of low-income women access to critical breast cancer screening and treatment. Their 360-degree approach is making a difference, with breast cancer mortality rates down and five-year survival rates up. They support survivors by removing barriers to lifesaving care while also investing in cutting-edge research. Every major advance in global breast cancer research in the last quarter century has been touched by Komen for the Cure dollars.